I wanted to find a health way to live. Using the oils provides this for me in regards to arthritis pain, hair loss, overall well being, lowering blood pressure and thousands of ways of using Certified Pure Essential Oils. A cousin via marriage is an OBGYN and she is using oils as an alternative for menopause. Of course, it's all personal choice but I find this works well for me. We try and see Joan and Jerrol Burnfield when we visit Ohio to see Jim's family. Hard to say but Scotland, Amsterdam, Costa Rica, Rio de Janiero, and Florida are my favorites so far. We truly enjoy our 5 grandchildren. Alexis (13), Peyton (10), Beau (8), Brody (6) and Addison (4). We spend lots of time on the road between home and OKC visiting 4 of those precious ones. Gayle Wisniewski Green has a birthday today. Gayle Wisniewski Green has a birthday today. New comment added. 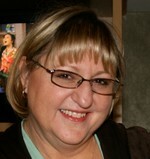 Gayle Wisniewski Green updated profile. View. Gayle Wisniewski Green posted a message. Sending you Belated Birthday Wishes!! Happy Belated Birthday Lorada. Hope you had a fabulous day! Happy Birthday Ray!! Hope you have an awesome day. Can't believe we are 60.. I certainly don't feel that old on most days anyway!! !